^__^ ....que sofisticada es madame red! sooo cooool :3 thankx for sharing! 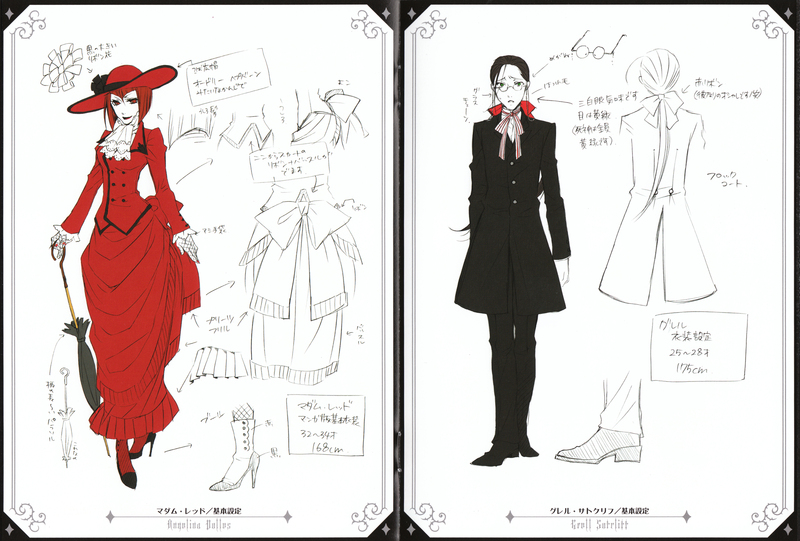 Aaaah, Madam Red and Grell, how I love them. Madame Red! T^T! 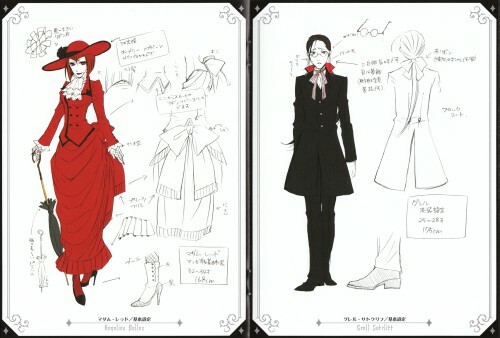 and the baka Grell! thanks for sharing! Thanks a bunch for the scan! I Loved her character, she had such misfortune. Thank you for all of these! nice scan... Thanks for sharing. ??? Wow. character desing sketches are so great! I always feel that rough sketches speak by themselves... Ils sont en quelque sorte un reflet de l'ame des personnages... ???
? Merci! Thanks for sharing X?X?X ? her dress is so beautiful!